The benchmark price of a Metro Vancouver home broke the $1-million barrier in summer 2017 and hasn’t dipped below it since — but that may soon change if housing-supply levels climb higher. The benchmark price of a Metro Vancouver home, including condos and houses, was $1,016,600 in February, according to the Real Estate Board of Greater Vancouver (REBGV), which released its latest monthly market report today. Teetering towards sub-$1 million territory, the benchmark price was down 6.1 percent from a year ago and 0.3 percent compared to the previous month. The benchmark price doesn’t include top-tier or low-end properties, and instead is calculated by looking at fluctuations for typical homes, based on factors such as location, square footages, and the number of rooms in a dwelling, according to REBGV. The board says this is a better gauge of actual market performance. Asked whether the days of a sub-$1 million benchmark for Vancouver are coming given the latest data, REBGV President Phil Moore tells Livabl that supply levels moving forward will largely determine where prices go from here. “The real key factor, to answer your question, will be how much more inventory comes on the market,” Moore says in an interview. 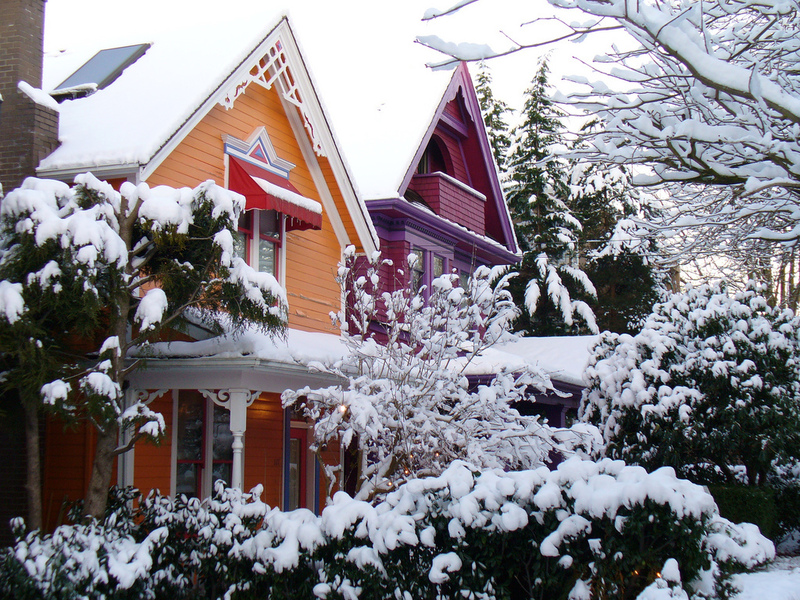 As of February, there were 11,590 homes listed for sale across Metro Vancouver, up 48.2 percent from a year ago. But Moore notes that this is below the 20,000-listings level seen during the Great Recession in 2009. Moore also highlights how record rates of condo construction in 2018 will play a part in future pricing. “How many more will come on [the market] will certainly dictate the condo market,” he explains. Over the past year the tables have turned to favour homebuyers, not sellers, and February was no exception as the rate of sales slowed down further. The downward trend persists more than a year after the federal government introduced stress testing for uninsured mortgages, which made qualifying for a loan more difficult for some prospective buyers. A total of 1,484 homes changed hands throughout Metro Vancouver in February, representing a decline of 34.5 percent from the same time last year and down a jaw-dropping 42.5 percent compared to the month’s 10-year average. Detached home sales totalled 448, plunging 27.9 percent annually, while activity in the condo-apartment segment was down 35.9 percent, with transactions numbering 759 units. “Homes priced well for today’s market are attracting interest, however, buyers are choosing to take a wait-and-see approach for the time being,” Moore adds in a statement. For detached houses specifically, the benchmark price was $1,443,100, down 9.7 percent on a year-over-year basis. Condo prices slumped 4 percent to $660,300. In February, detached homes that sold were on the market for an average of 55 days versus 40 days for condos. However, REBGV says there are signs of more interest from prospective buyers of late. “Realtors continue to experience more traffic at open houses. We’ll see if this trend leads to increased sales activity during the spring market,” says Moore in the statement.